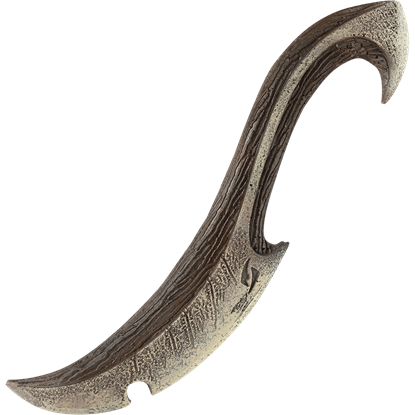 The elves are a graceful people, and that trait shows as much in their culture as it does in their craft. 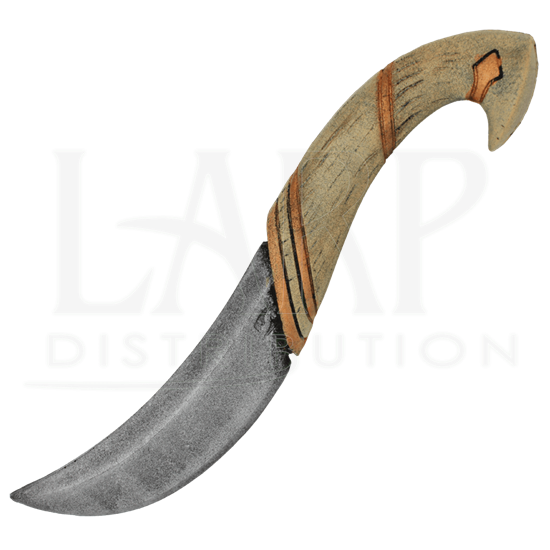 This Elven LARP Throwing Knife offers a glimpse of how even the most beautiful of weapons can also be quite deadly in skilled hands. 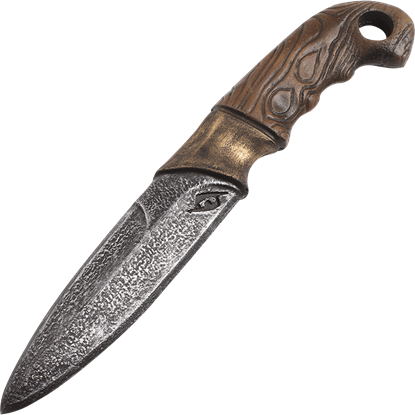 The very pinnacle of elven craft, this handsome little dagger incorporates classic elven curvature and design as well as vibrant color and detail. 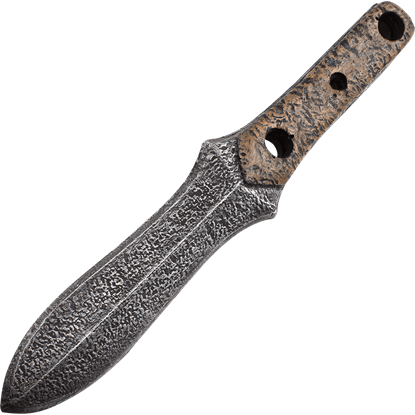 The blade and handle offer an S-curve shape while the grip is colored in cream and gold to give it an almost royal look. 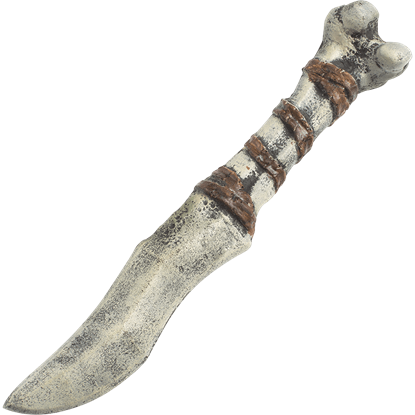 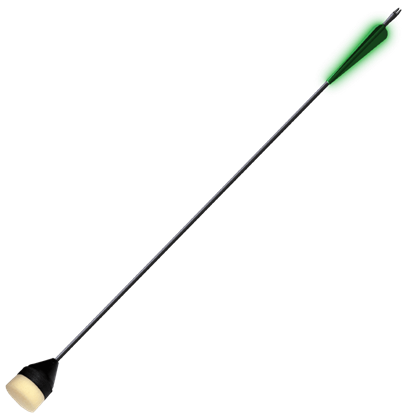 The throwing knife is made from hardy foam and sealed in latex to ensure its strength as well. 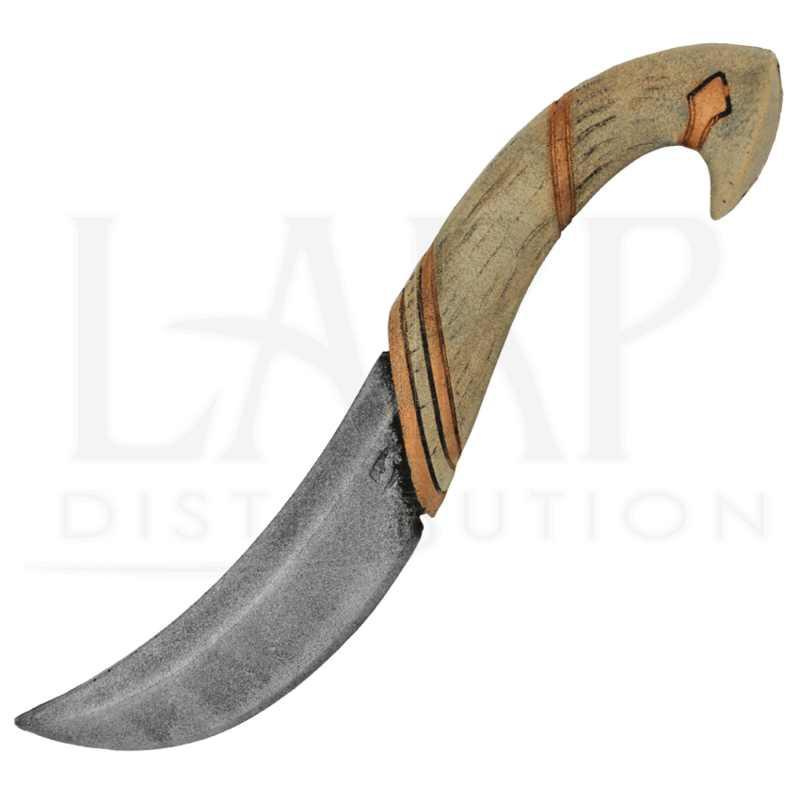 This Elven LARP Throwing Knife is a handmade LARP weapon so its measurements can vary slightly from what is shown below.